A former Mamelodi Sundowns midfielder is waiting to hear from Highlands Park regarding his trial at the club and if he will be offered a deal. 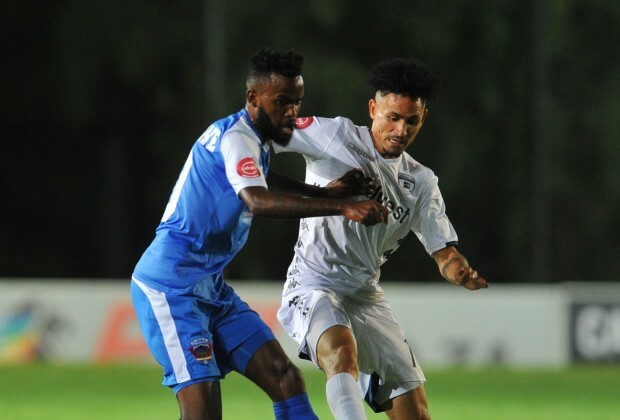 As reported, Jabulani Shongwe has taken his search for a new club to the Lions of the North, after he parted ways with Chippa United in January. Highlands coach, Owen Da Gama, has yet to decide if the 28-year-old player would form part of the squad for the remainder of the season. Speaking to the Siya crew, Shongwe’s agent Jazzman Mahlakgane said there hasn't been a rush from their side as the player is currently a free agent. “Look, there is no rush because you must remember that he is a free agent and is not affected by the window period,” said Mahlakgane. Meanwhile, the Lions of the North are also yet to make a decision on former Kaizer Chiefs winger Mandla Masango, who has been training with the team. Chiefs’ January Signing Records – Tops Or Flops?